This topic contains 0 replies, has 1 voice, and was last updated by Pix 1 month, 4 weeks ago. 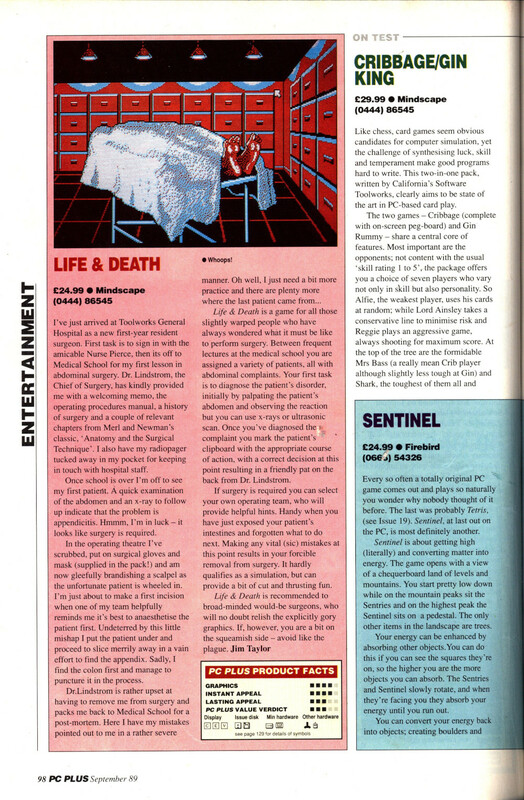 I figured I should scan you guys a review while I had the scanner going. This is what got me to buy Life And Death back in 1989. 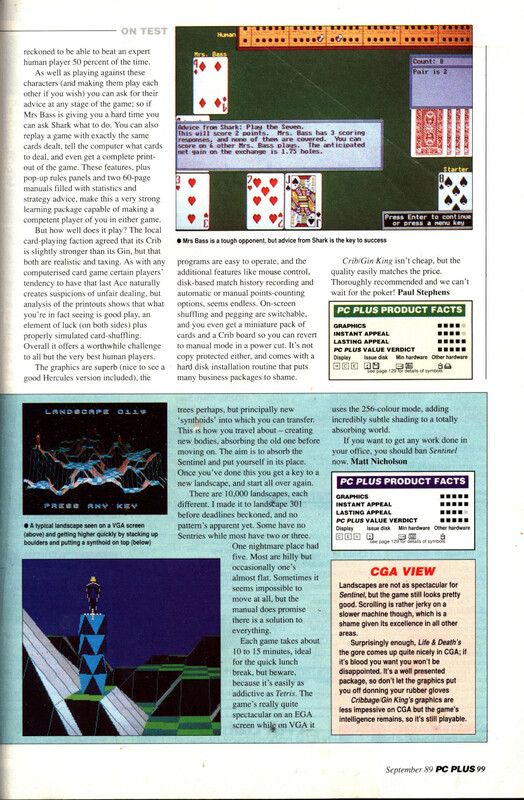 There weren’t any PC gaming mags back then so I had to make do with 4 or 5 pages in PC Plus once a month. The deciding factor may have been that CGA view box – I used to pay it a lot of attention given CGA was all I had at the time.